for $1,399,000 with 3 bedrooms and 3 full baths, 1 half bath. This 2,940 square foot home was built in 2002. 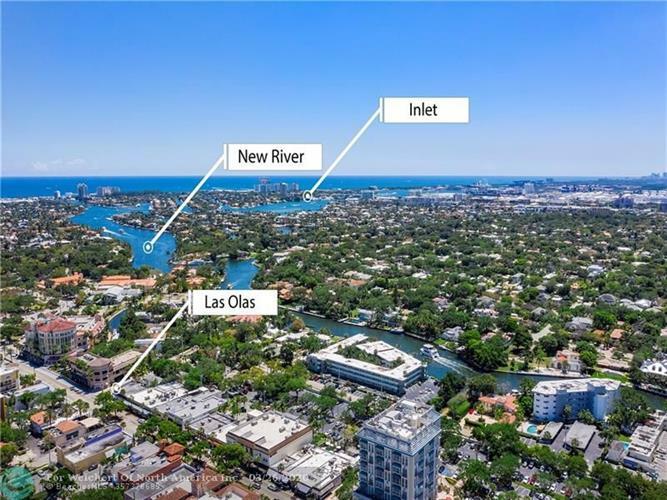 Las Olas meets the Beach-The ultimate in location, views & lifestyle! Enjoy sweeping dynamic 300+ degree views from this PRIME East AND South corner sub-penthouse in the heart of Las Olas. Offering 3BR+Office/3+1BA/3 Balconies/2 Garage Spaces. This 2, 940sf condo encompasses the entire South half of the 16th floor! Semi-private elevator (only 1 neighbor). Stunning direct ocean, New River, Intracoastal, pool & city views as far as the eye can see from floor-to-ceiling impact windows throughout & expansive balconies. You can even see Miami! All bedrooms are ensuite. Storage galore. Enjoy all Las Olas and beach living offers! Steps to famed Las Olas Blvd, Downtown Ft Lauderdale, financial district, world-class restaurants, shops, arts/entertainment, water taxi. Blocks to beach. 2 pets welcome!